Commonwealth Bank offers CCB Mobile for both Apple and Android devices. 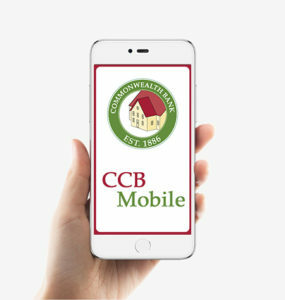 With CCB Mobile, you can view your account balances, set alerts, transfer funds, and even pay bills right from your phone or mobile device. Download today to start banking from just about anywhere.